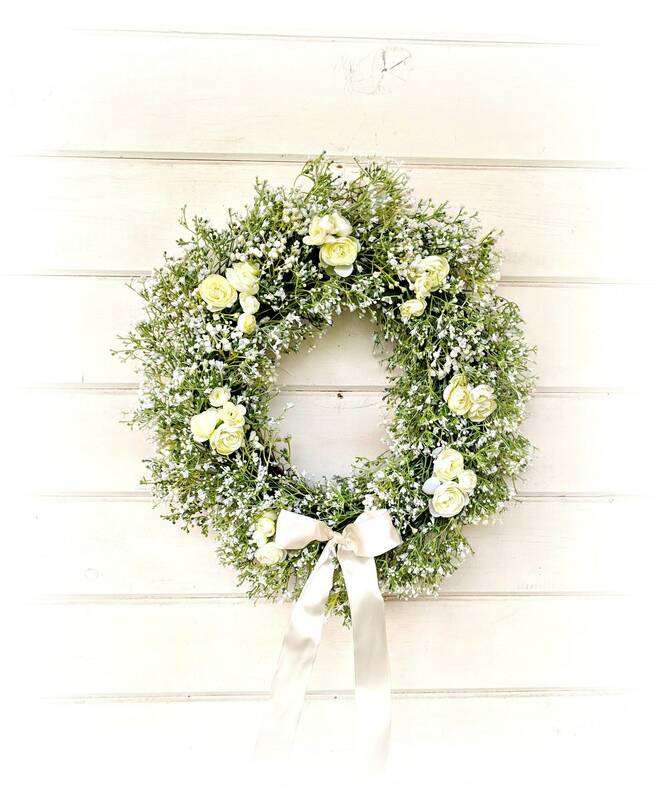 New for 2018... A Baby's Breath Wreath with Ranunculus! 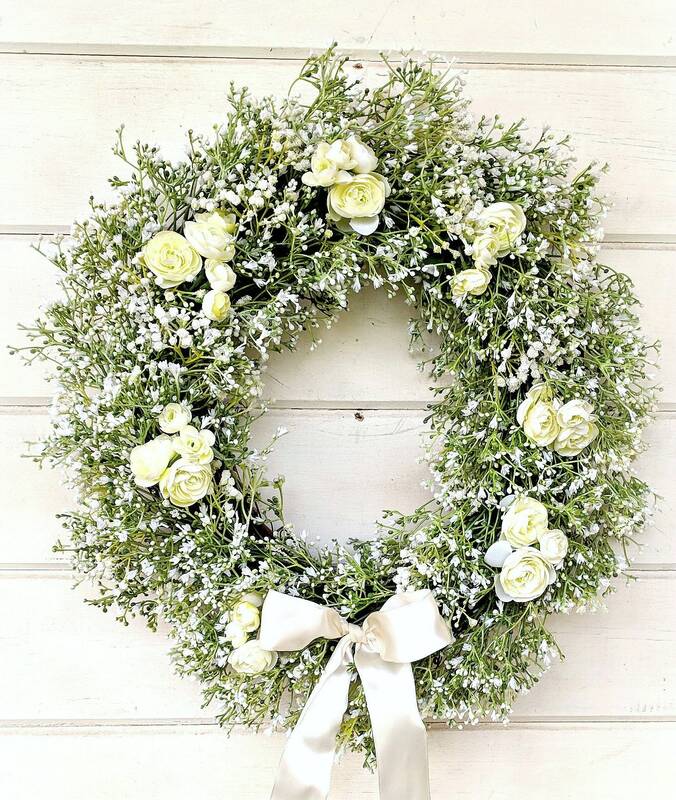 This Wreath is made on a grapevine base with Artificial Gypsophila (Baby's Breath) Garland... Perfect for your Wedding. 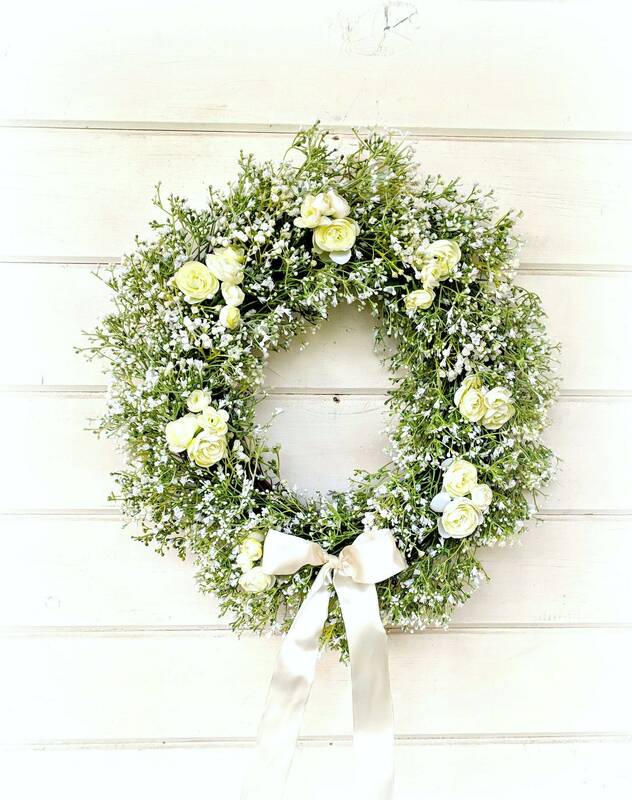 WildRidge Wreaths are "CUSTOM MADE" choose your Scent and Size. If you would like a different color of Ribbon---Convo me!